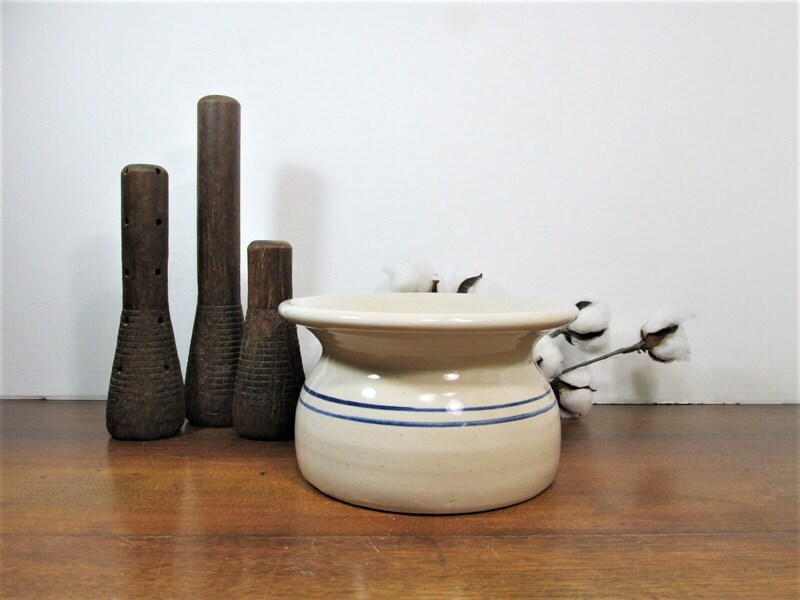 Vintage Marshall Pottery spittoon from the days of chewing tobacco. A nostalgic piece that would be great for your bar or why not use it as a vase for flowers on your farmhouse table. It has a double stripe blue band about midway. It is marked Marshall Pottery Inc., Master Potter Kenneth Wingo, Marshall, Texas. Measures 4 1/4 inches tall, 7 5/8 inch diameter at the top and 6 5/8 inch diameter at the bottom. Heavy item weighs 3 lbs 2 oz. before packing.